Where To Go To Find Warm Seas! Not to be overdramatic, but forking out a fortune on a holiday, running onto the beach and leaping into the sea only to be covered in coldness, is the absolute worst thing in the world, and it makes us cry cold, cold tears. One of the best things about leaving our refrigerator-like country is finally getting to experience a natural body of water that doesn’t make us shiver. Let’s face it, a warm sea just doesn’t exist here in the UK. However, we’re here to guide you towards where you can find it, so that you can dip your toes in without wincing! With its subtropical desert climate, you'll happily find that the sea in Hurghada feels like getting the temperature of the bath water just right. This Egyptian resort spans alongside the Red Sea, which may ring a bell to you. 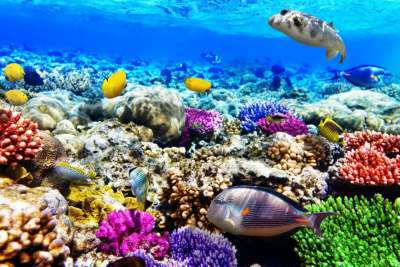 It's the one that Moses split in half, and today, fully intact, it's home to around 1,000 invertebrate species, and 200 soft and hard corals. That makes it a pretty incredible underwater world, and you'll be keen to jump in and discover it, as sea temperatures remain just under the 30° Celsius mark, with wintry months only dropping very slightly. From the Red Sea and now onto the Dead Sea, Olu Deniz is where you'll find this tranquil-watered, dead calm lagoon. Fast becoming one of Turkey's more popular resorts, Olu Deniz provides its visitors with serene sea temperatures from May until October. It lies right at the conjunction between the Aegean and Mediterranean Sea, with warmth emanating more so from the latter. You can doggy-paddle up to the mini island and glide along in a palette of captivating turquoise and aquamarine colours. While inland Dubai soars with topsy-turvey shaped skyscrapers and gargantuan futuristic monuments, its sea remains natural and predictable. Because of Dubai's position within the northern tropical belt, the sun tends to beat down furiously. While its sea still mirrors some of this warmth, it certainly takes off some of the sun's edge. Dubai's temperatures - both on land and in the sea - hardly waver. So, expect sea temperatures to constantly bob around the 28° Celsius mark. Let's not do the Maldives a disservice. It is simply one of the most beautiful destinations on Earth, and it is surrounded by water which sparkles like sapphire. Located in the balmy Indian Ocean, water temperatures stay consistently around the 26-29°C mark year-round, dropping only during the northeast monsoon where it still remains a comfortable 24°C. If you're extra, extra lucky, you may get to witness an instance of bioluminescence. This is when the water lights up naturally, like a sea of stars, and it's always possible that you'll get to see this magical phenomenon for yourself in The Maldives. Go to Miami any time of year and you'll be embraced by warm, Jacuzzi-like water. July through to August are the sea's warmest months, when temperatures reach the 30°C mark, but even if you wanted to go to Miami in the wintry months then you can still have a refreshing 22°C swim. You'll have the sounds of parties on the shore while you swim in water almost too pretty to be true. 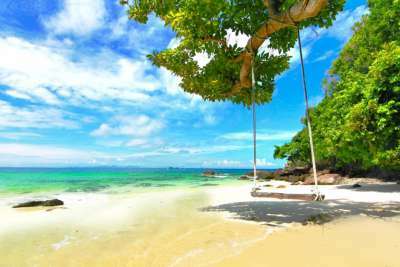 This mountainous and rainforested island, which is plonked right in the warming Adaman Sea, boasts some of Thailand's most pristine beaches and clearest waters. It practically rubs against the equator, so sea temperatures stay consistently warm throughout the year. There's only a miniscule amount of temperature wobbling, with the water seldom dipping below 28°C, and mostly remaining at the 30°C mark. Being Thailand's biggest island, you'll be glad to be surrounded by all of this lovely, toasty water. Brimming with beaches and balnearios, this popular tourist destination gives you the white sands and periwinkle waters to rival any other Caribbean resort. Better still, you can be assured that your kids will have a safe swim here, as the ocean water is mainly made up of shallows. 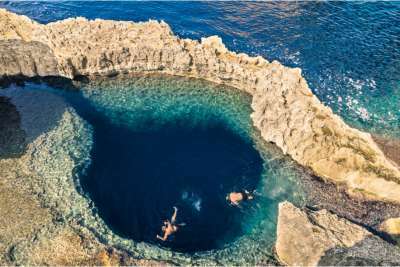 However, for those wanting to go a bit deeper, you'll find multiple natural pools which plunge into deeper blue depths. You can come anytime of year and still have a pleasant swim, as the water hardly ever dips any lower than 28°C. 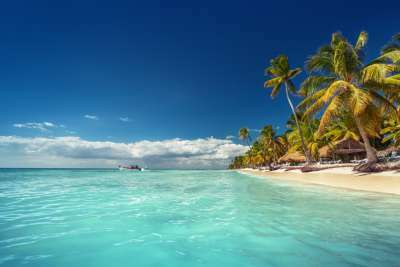 One of the Caribbean's most popular resorts, Cancun's 150 miles of beach are gently lapped at by its warm waters. While it does cool slightly during the wintry months, you're very unlikely to ever see the water temperature fall below 26°C. 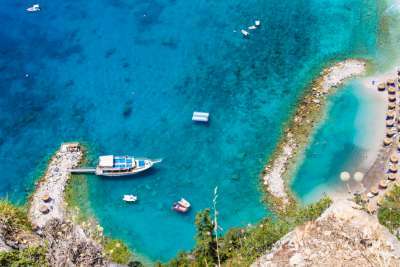 What makes this destination even more idyllic is its white coral beaches, meaning that your feet won't be scorched when you make that glorious run across the sand and into the sea. I understand why you're skeptical of any sea in Europe, especially because the last European sea made your toes feel frostbitten. 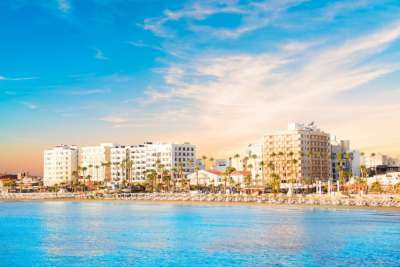 Larnaca, Cyprus' most seasidey resort, will restore your faith! Laranca's Mediterranean and semi-arid climate radiates on its sea, where temperatures reach up to around 27°C. Temperatures tend to drop around 10 degrees in the colder months, but 17°C still ain't too shabby for a European sea! Nevertheless, it is advised that you holiday here in the summer months. Just off the edge of Malta, you'll find this pretty little archipelago chilling out somewhere in the Mediterranean Sea. The sun beats down on it some 350 days of the year, scintillating the sea enough so that it remains warm throughout most of the year. There's plenty of nooks and crannies to be discovered when you're out in the water, especially The Inland Sea, which is the lagoon of seawater that links the island to the Mediterranean Sea!